As I did exactly one year ago, I have consolidated all the stats collected during 2014 with the intention to provide an high level overview of the past year. Of course this data does not pretend be exhaustive, I’d rather prefer to define the charts as macro-indicators of the threat landscape and the corresponding trends, since the sources of the timelines (from which the stats are derived) are open and therefore only show cyber attacks that were discovered and gained space in the news. It is interesting to compare the trend of 2014 with the two previous years. It appears to be more stable, even if the overall level has been lower. The reason of this? Maybe the decreased impact of hacktivism and the major attention of the media towards the massive breaches that characterized the past year. 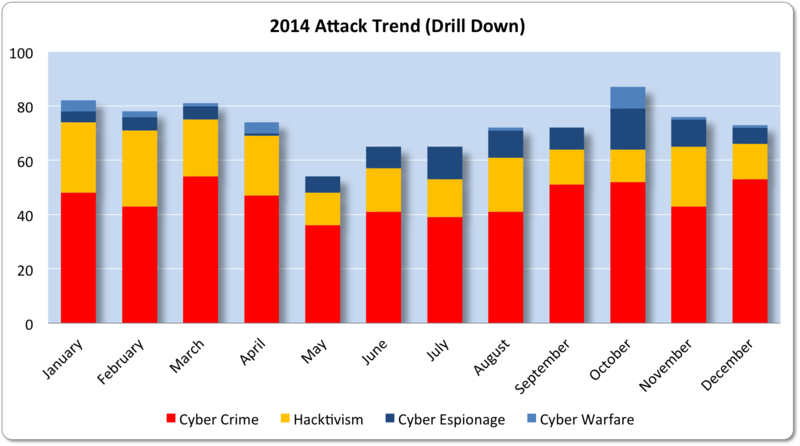 On the other hand, if one considers the drill down of the motivations month-by-month, it is even clearer the impact of Cyber Crime. 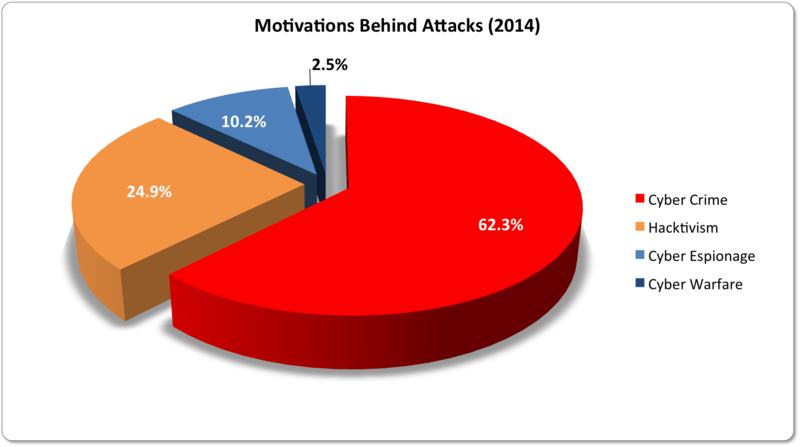 And obviously the aggregated yearly distribution of motivations confirms this trend: Cyber Crime ranks at number one with 62.3% (it was 47% last year) followed by Hacktivism (24.9%, was 44% last year). 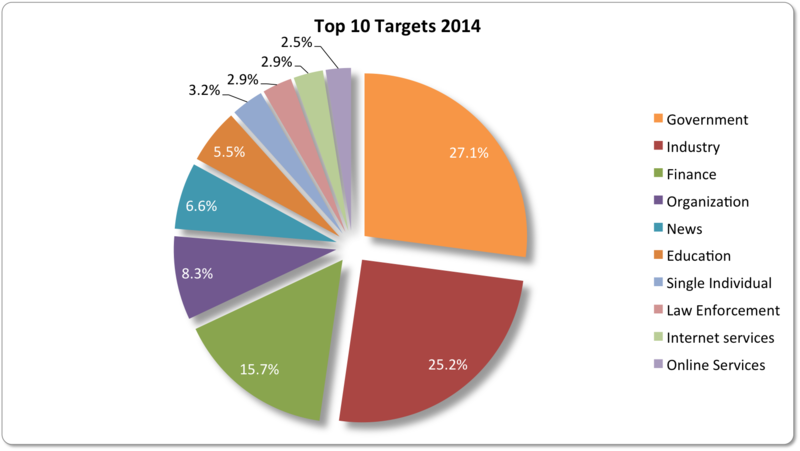 It is interesting to notice the rise of Cyber Espionage that doubled its percentage (10.2% vs 5% in 2014). 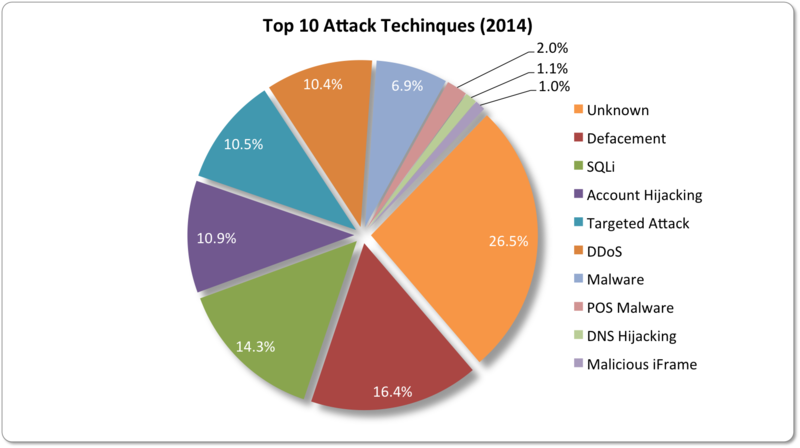 Defacement leads the chart of known Attack Techniques (16.4%, was 14% last year) ahead of SQLi (14.3%, down from 19% last year) and Account Hijacking (10.9%, a value slightly higher than last year when it was at 9%). It’s also worth to mention the Influence of Targeted Attacks (10.5%) and Malware, which in practice rank on top if one consider also the PoS Malware (the aggregated value is 17.3%). Just like 2014, Governments and Industries have been the most preferred targets for Cyber Attackers with similar values (respectively 27.1% and 25.2%), with a substantial growth year-over-year (in 2014 they were respectively 23% and 22%). Targets belonging to Finance rank at number three (15.7%, more than twice in comparison with 2014). Organizations and news come after with respectively 8.3% and 6.6%. As usual, bear in mind that the sample must be taken very carefully since it refers only to discovered attacks, published in the news, and included in my timelines. The sample cannot be exhaustive but only aims to provide an high level overview of the “cyber landscape”. If you want to have an idea of how fragile our data are inside the cyberspace, have a look at the timelines of the main Cyber Attacks in 2011, 2012, 2013 and now 2014 (regularly updated). You may also want to have a look at the Cyber Attack Statistics, and follow @paulsparrows on Twitter for the latest updates. I should correct a mistake related to “top 10 attack techniques chart”. 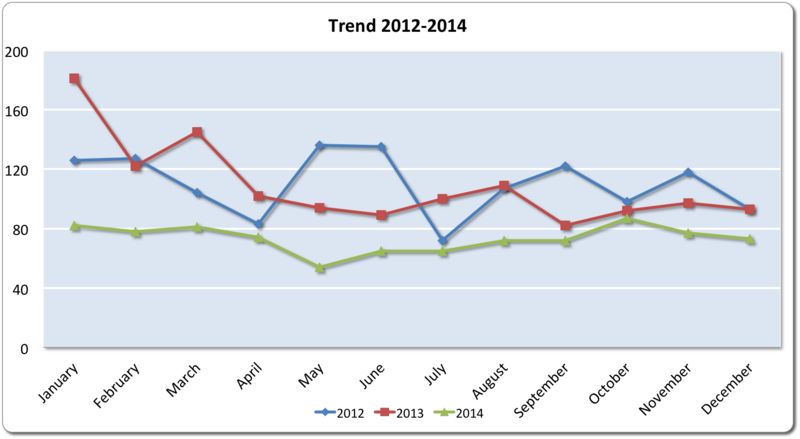 You indicated that It’s also worth to mention the Influence of Targeted Attacks (10.5%) and Malware, which in practice rank on top if one consider also the PoS Malware (the aggregated value is 17.3%) but according to chart, while percentage of DDos is 10.4, aggeragated value of malware and POS malware is 8.9%. That’s a 54% in cyber-attacks from 2012 to 2015 (did the calculations myself).